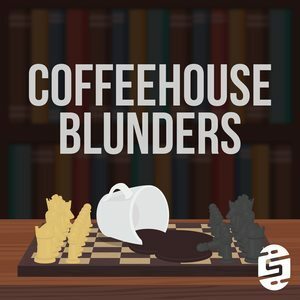 We found 10 episodes of Coffeehouse Blunders with the tag “magnus”. That is right! There is a new Star Wars movie and we absolutely have to talk about it. Solo: A Star Wars Story we are coming for you. We don't stop there as we break down big upcoming chess tournaments, drinking local coffee, and review our super bowl stories. Both Danny and Motz snuggle up at home playing board games while they wait for the New Year ball to drop. Motz has a grand adventure attempting to find his long lost checked bag all while Danny tries to figure out how to interview chess players. Happy 4th of July! Excitement for fireworks aren't the only thing happening this week as Magnus is back in the meme light and Motz gets to the theater to fall deeply in love with Baby Driver. Magnus crushes at the Paris Grand Chess Tour while Maurice crushes his spirits shortly after, just like Danny's spirits were crushed when someone stole his laptop this week. Episode 9: The Xbox Whaaattt??? This week we take a look at the life of Magnus, from the start to world champion as we watch his documentary. It is also E3 week with tons of technology and video game blunders that Motz and Danny investigate.